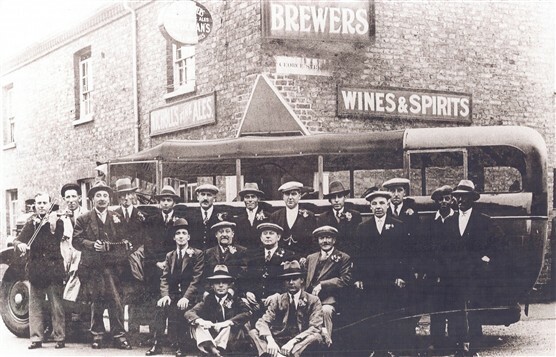 This is a picture of a coach from Dye’s Coaches, outside the Two Brewers, Port Vale, Hertford. Jim Dye is the Driver, he is wearing the lightest coloured coat and is 2nd from the left. Daniel Dye I have just discovered was a cousin of mine. Thank you for this small snippet of info. 1966 was a good year for me as I met my present wife during Easter 1966, my late father would have mentioned this ( I was aware of Dyes coaches as my father was a coach driver but not for Dyes) but I am sad to say it would have been lost on me as a lad of 18. Daniel Dye & Co operated from premises at 30 Railway Street, Hertford. At its peak the firm ran eight coaches, nearly all with bodies built in Ware by W L Thurgood (Coachbuilders) Ltd. Dye’s ceased to operate at the end of 1966.